Dimensions: 6ft. 4in. x 6ft. 1in. 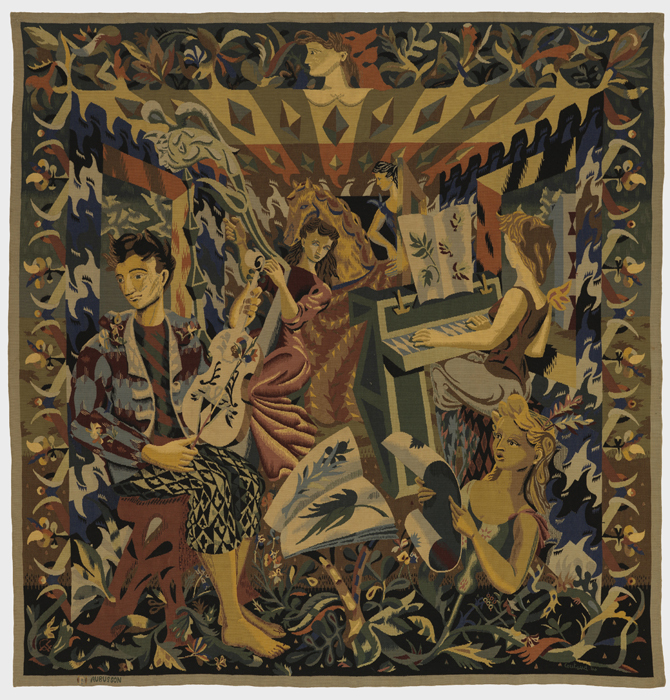 Inspired by classical tradition, Lucian Coutaud is best known for the surrealist tenancies and narrative charm of his tapestries. Almost all of those he designed are framed with a decorative boarder of floral or geometric design. 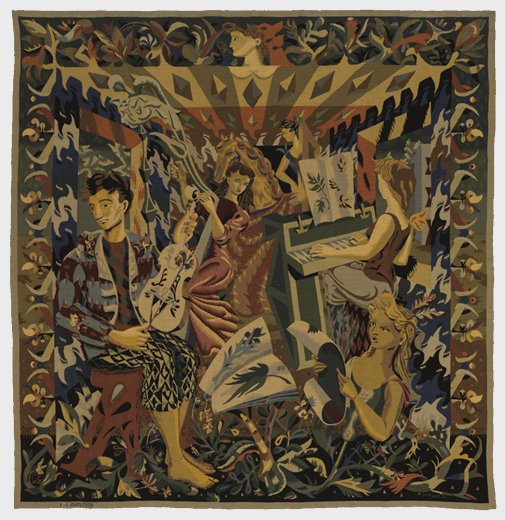 Coutaud’s tapestries – all woven from preparatory cartoons – express a parallel evolution to his work in theater design and a mastery of composition.